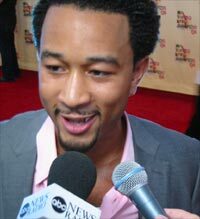 Newcomer John Legend makes me believe that the neo soul movement is stronger than ever before. Together with Van Hunt, Jill Scott, Floetry, the Roots and Angie Stone, Legend presents a crisp, clean sound that captures both heart and soul. I first met the singer/pianist at the MTV Video Music Awards in Miami and I was impressed by his charismatic, yet humble presence. Groomed by Kanye West, this boy is made for the music business. Legend was born in Ohio and moved to Philadelphia at age 16 to attend college. After finishing his studies, he moved to New York City to play different nightclubs. He quickly built a reputation as a session pianist working with artists like Janet Jackson, Alicia Keys, Talib Kewli, Lauryn Hill and Kanye West. Ultimately, it was West who signed Legend to his own production company KonMan Music. Legend is currently on tour with Usher and Kanye West. The singer is set to release his first major release "Get Lifted" on January 5. An album that is buzzing with excitement, and promises to combine modern-day sentiments with an old-school flair. His sound is rooted in gospel and soul, but includes elements of hip-hop (not a suprise with Kanye West as his mentor). His lyrics are smart and witty to create an overall upbeat, feel good vibe in his music. Check out Legend's first single "Used To Love U," which is available for free at iTunes this week. Photo of fashion designer Giorgio Armani and DJ/producer Peter Rauhofer at an Armani Exchange bash at Pier 92 in New York City last Tuesday. 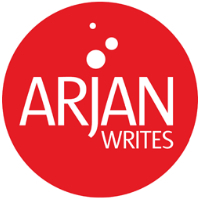 The two celebrated the recent success of the popular Armani Exchange Music series, which is a result of the teaming between Armani and Rauhofer's dance imprint Club 69 Records. Miguel Migs compiled the first Armani Exchange CD, the second installment was done by Frankie Knuckles and the most recent CD was put together by the GRAMMY-winning Rauhofer. Club 69's DJ Rap and DJ Palash will produce the two forthcoming CDs in the continuing series. Palash recently split with DJ Saeed to focus on a solo career. Armani understands how to combine fasion and music to set the mood for his signature style. Most recently, he announced that he will be designing Duran Duran's outfits for their upcoming tour. Rauhofer's "Higher" is exclusively available at Armani Exchange locations nationwide. The disc is a mellow house collection with Rauhofer mixes of Madonna (the Jem co-penned "Nothing Fails"), Murk ("Time") and Jahkey B ("Heart Attack"). Also included on the album are remixes of the Pet Shop Boys, Mr Fingers, Mau Mau and Robert Owens. Rivals Moby and Eminem have finally found some common ground. On his web site, Moby applauds the rapper for his new protest video "Mosh." He writes: "Wow. You know that Eminem and I have had our differences in the past but [the video for "Mosh"] is the best thing that I've seen all year. It's an amazing song and an even more amazing video. Please go watch." The two have bickered in the past after Moby was offended by Eminem's alleged homophobic lyrics. Eminem's most controversial retaliation was the video for "Without Me" in which he spoofs Moby and raps "nobody listens to techno." 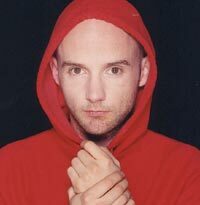 Moby (and Boy George) hit back relentlessly in the media and speculated that Eminem was gay. I never used to be a fan of Depeche Mode. The group's dark rocktronica and grainy black and white videos did not particularly appeal to me until I recently listened to the solo work of lead singer Dave Gahan. I revisited some of the group's earlier records and was fascinated by the depth of the band's songwriting. Depeche Mode's latest "Remixes 81-04" comes just in time to completely win me over as a fan. This album is based on an interesting concept. It's not so much a "best of Depeche Mode" album as it is a "best of the remixes of the best of Depeche Mode." 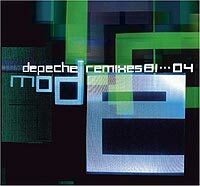 Depeche Mode have been at the forefront of remix culture for two decades making this "Remixes 81 - 04" a sort of "best of" of the remix itself. Click here to stream the entire version of "Enjoy The Silence 04" reinterpreted by Mike Shinoda . 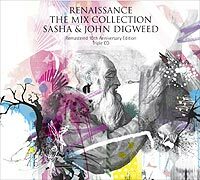 With "Renaissance: The Mix Collection," Manchester DJ duo Sasha & Digweed ignited the British progressive house movement in 1994 and went on to become the first ever DJ/club mix to reach gold status in sales in the U.K. The triple-disc set (featuring works by Moby, Leftfield, Fluke, Bedrock, EMF, Inner City) is arguably the best dance mix compilation ever put out. A decade after it first release, Studio Distribution will be re-releasing "The Mix Collection" in the U.S. on January 25. The new anniversary set will be available in two formats: a deluxe edition and a very special limited edition with re-mastering by Sasha and John Digweed using modern applications that weren't available 10 years ago for a clearer sound. The spectacular sleeve art for the disc set is made by illustrator group Vault 49. The UK-based design team achieved international recognition in 2002 for a series of fly-posting campaigns in London that was picked up and showcased by the design and fashion press. Today, less than two years since the collective began, Vault 49 has been commissioned to produce international design and advertising for MTV, VH-1, Levi's, Kookai, Express fashion, Mambo, and Miss Selfridge. Recently, they opened a studio in Manhattan. The group recently expended its fine artistic lines into their own fashion line "Roule", which can be found on their website.